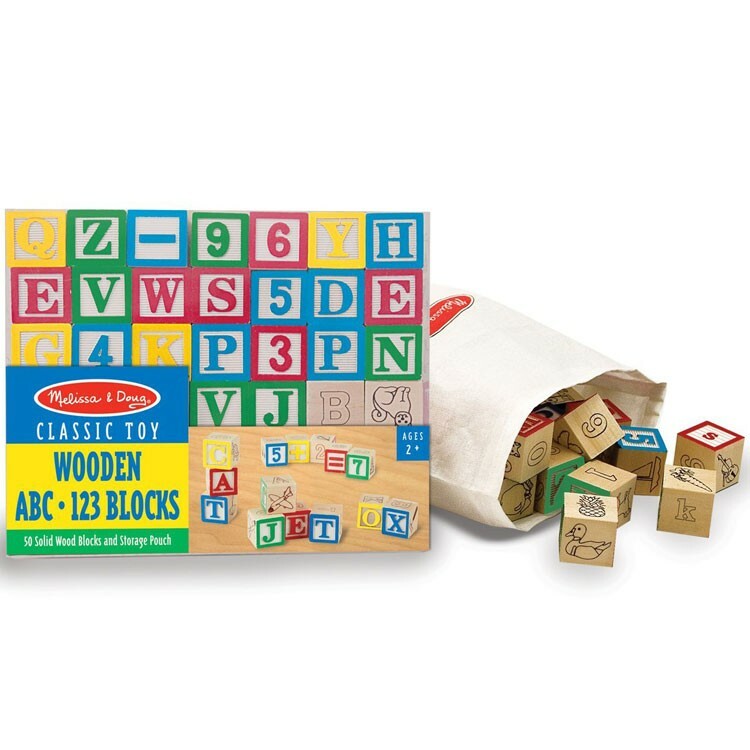 Melissa & Doug offers this classic block building blocks set as a fun way to introduce your toddler to the alphabet, counting, and animal recognition. ABCs and 123s, it's tons of fun we guarantee! 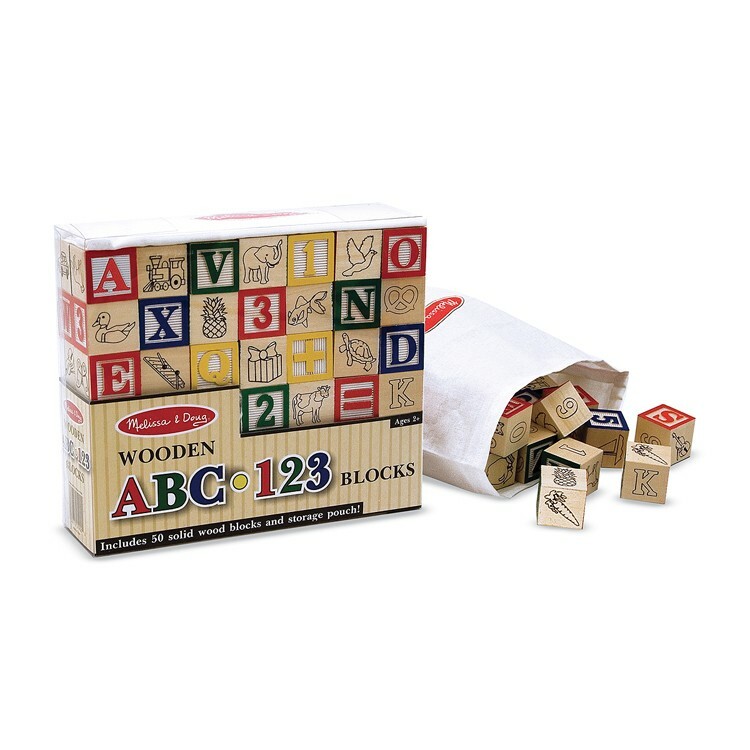 Wooden ABC-123 Blocks Learning Toy is the classic toddler toy from Melissa & Doug, an award winning toy maker. This traditional building block set features 50 solid wooden 1-inch-square blocks carved with letters, numbers, and painted in beautifully bright primary colors. 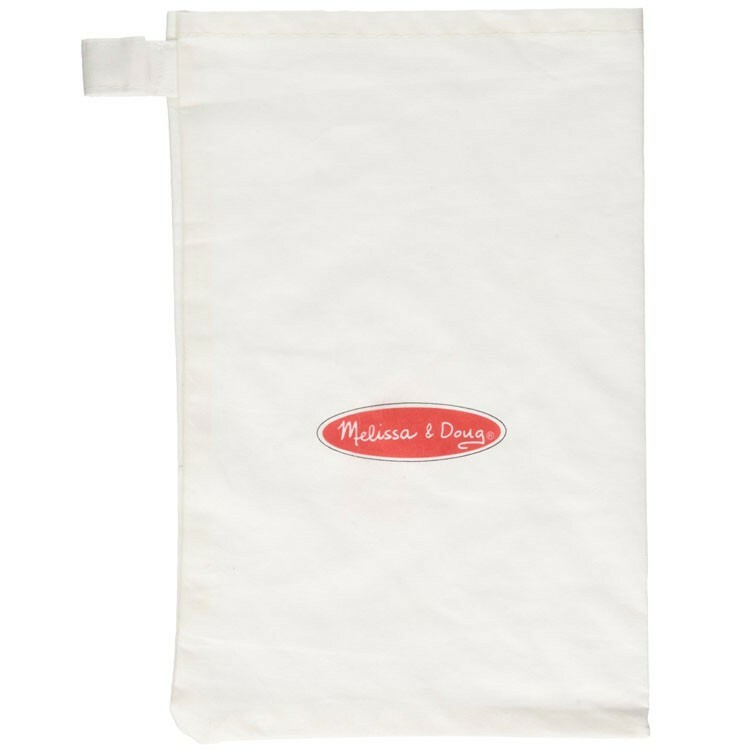 These high quality and durable building block also include fun animal illustrations and can be stored in a convenient canvas pouch or in a see through plastic storage box perfect for traveling. 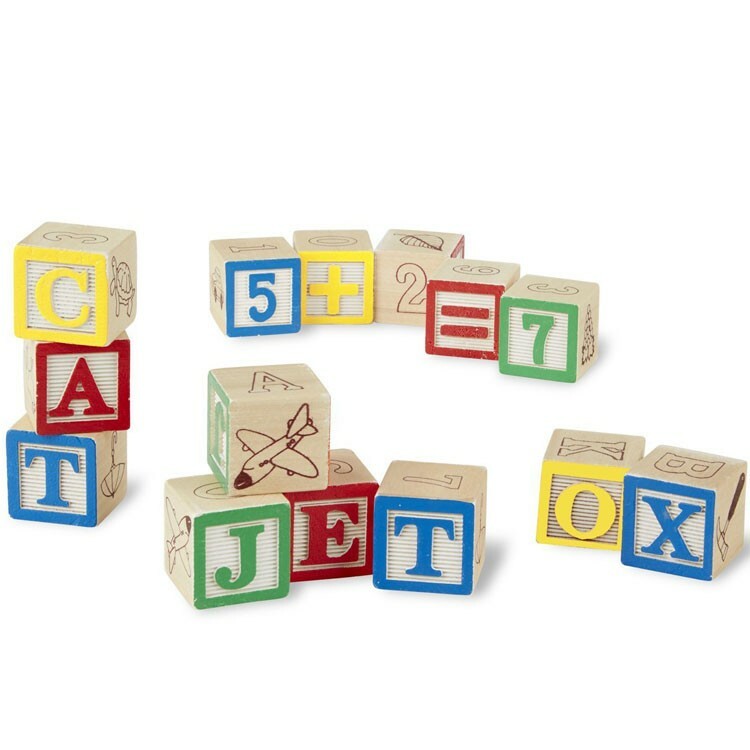 Educational Toys Planet offers this classic construction set as a fun way to introduce your toddler to the alphabet, counting, and animal recognition. 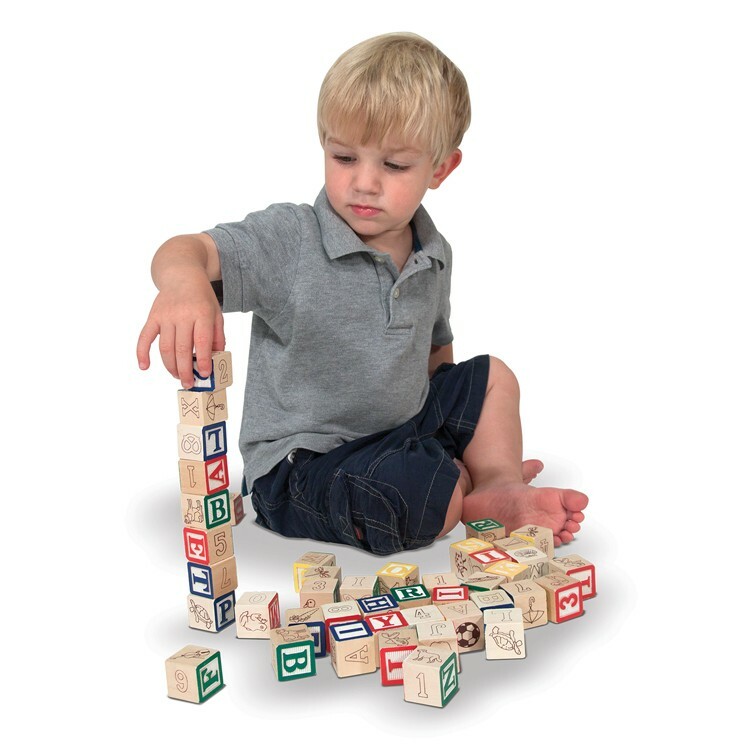 The shape and size of the Wooden ABC-123 Blocks Learning Toy make them easy to grasp by even the smallest hands and provide a great way to fine tune motor skills! So stack, build, and learn! Colors may vary. 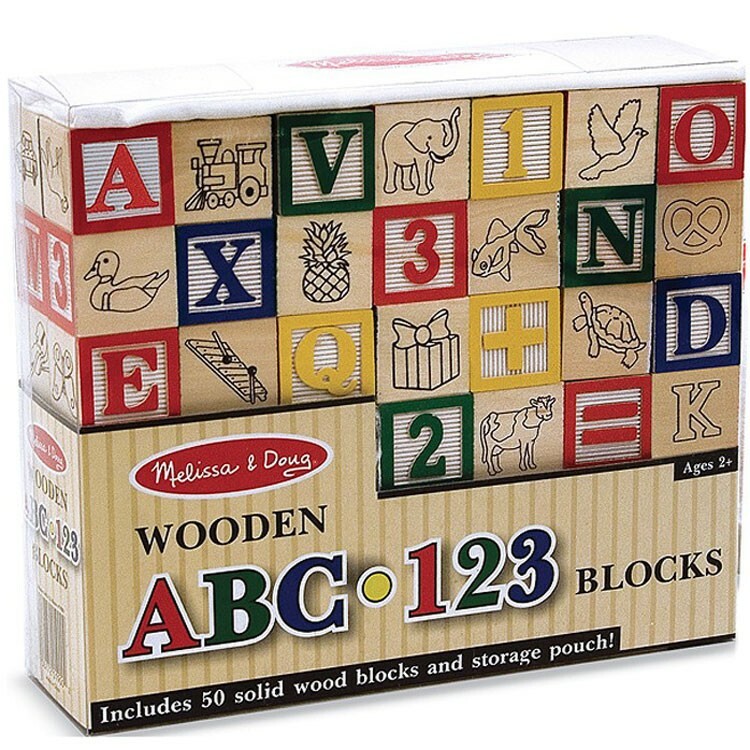 Dimensions of package 8.4" x 7.7" x 2.5"
Write your own review of Wooden ABC-123 Blocks Learning Toy. 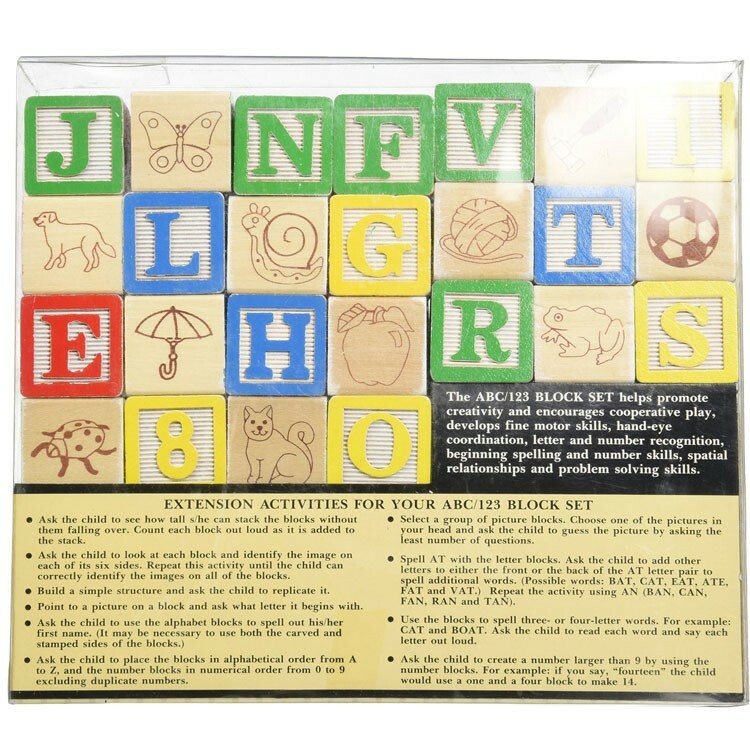 Rating: 5 High quality by Jessica G This block set is educational, fun and well-made. 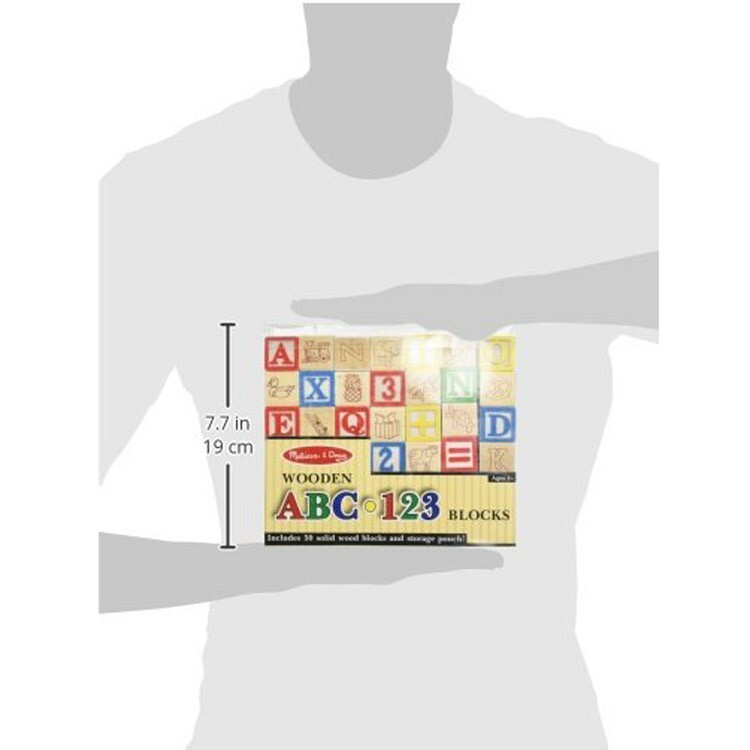 The simple, classic "ABC 123" design is ideal for teaching small children their alphabet or helping them to learn to count. Of course, they can also be used for building and creating. The possibilities are endless and they are great for a preschool classroom or for use at home! 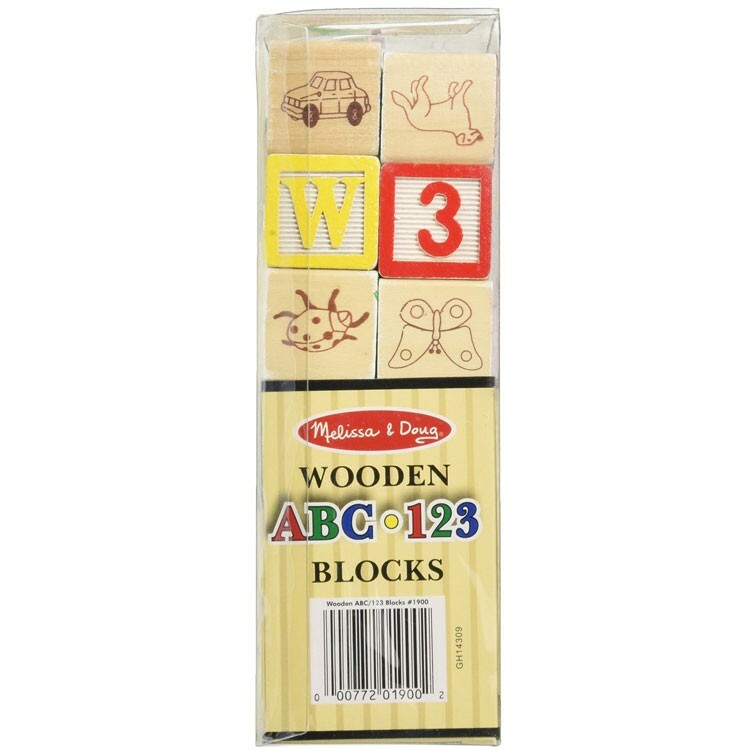 Rating: 5 by Maura, MA I'm glad the good old wooden blocks are still around. Rating: 5 by Mun, CA Good quality toy. Rating: 5 by Karla McNiff I should have read about the product before I bought this, I didn't realize they were so 'small'. But still, GREAT price for a set of classic blocks. Rating: 5 by Efstratios, ON Nothing beets the texture of wood, my kid loves it. Rating: 5 by Brenna, VA Not bad. But I have a set of blocks that are a bit larger and have a nice wooden box to keep them in. I was looking for another set to give him for his house. These will be fine, but I wish they were larger.